The reason why regularly scheduled exams and cleanings are so important is because prevention is the most important aspect of dental health care. During your examinations, your dentist might also utilize digital imaging equipment, such as X-rays and intraoral cameras, to produce a clearer picture of your oral health. In addition to providing a more precise image than traditional radiology, digital X-rays also produce up to 90 percent less radiation, making them significantly safer. If an issue is detected, such as a damaged or infected tooth, then digital imaging can also help your dentist more accurately diagnose your condition, and design the most appropriate treatment plan. For more detailed results, your dentist might also employ 3D-CBCT scanning to produce a 3-dimensional image of your teeth and oral structures. Cone-beam computed tomography (CBCT) is an advanced digital scanning technology that produces highly detailed, 3D X-rays of your teeth and jawbone structure, as well as the nerve pathways and soft tissues surrounding them. 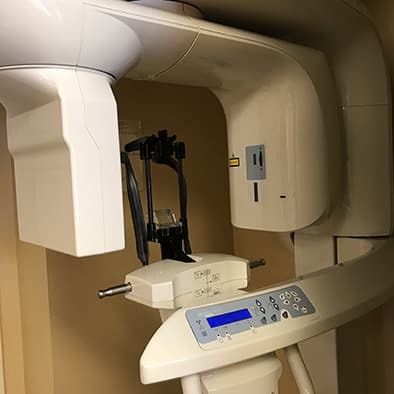 CBCT produces a cone-shaped X-ray beam that captures numerous images of your teeth, jaw, oral structures, and tissues from several different angles. By combining the images, the CBCT scanner creates a precise, 3D image that allows your dentist to more thoroughly inspect your oral health and/or plan an appropriate course of treatment. 3D scanning is especially beneficial for more extensive dental procedures, such as dental implant placement. Our goal is to ensure that your dental experience is as safe, comfortable, and effective as possible, and our 3D and digital imaging technology helps us better achieve that purpose! To learn more, schedule a visit with us as soon as possible. We’ll be happy to answer all of your questions and walk you through what to expect! Digital imaging, measurements, and molds are essential for many different aspects of your oral health care. 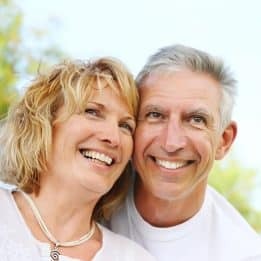 For example, when planning custom restorative treatment or designing Invisalign clear aligners, digital imaging provides a level of precision and realism that can’t be achieved with traditional planning methods. The advanced iTero intraoral scanner allows us to create highly precise measurements of your teeth, jawbone, and oral structures for advanced Invisalign treatment planning. Using the innovative digital scanning technology, we can precisely gauge the extent of your tooth misalignment and the most appropriate path of tooth movement to correct it. Then, the digital measurements will be used to custom-design your set of aligners, ensuring a maximum comfort and optimal results for your Invisalign treatment. Using a variety of advanced digital technology, we can significantly improve your comfort and the treatment of your results. To learn more, schedule a consultation with one of our experts by calling the My Dentist office in Londonderry, NH, today at (603) 965-3407.